Parents want their children to have a future that makes a positive difference to society, according to new research released to mark the start of Tomorrow’s Engineers Week. Almost two-thirds (64%) of parents want their children to have a job that is something they can be proud of and two-fifths (38%) want their child to make a positive difference to society with their careers. Other parental priorities for their child’s future work are being happy (89%), reliable income (74%) / salary (48%) and excitement (41%). While just one in five (21%) parents were told that they could have a job that makes a difference to the world when they were young, parents are now taking steps to ensure their children have better information. More than six in ten parents of Generation Z children (64%) have had discussions about how their future jobs could make a difference to the world and many believe that engineering is a career that could make this happen. While parents of 11-18 year olds feel that teaching (50%) or being a doctor (48%) are the careers most likely to enable their child to do good in the future, 43% believe becoming an engineer would make a difference. Similar numbers felt nurses (40%), police (37%), vets (37%) or social workers (36%) would also be positive career choices. 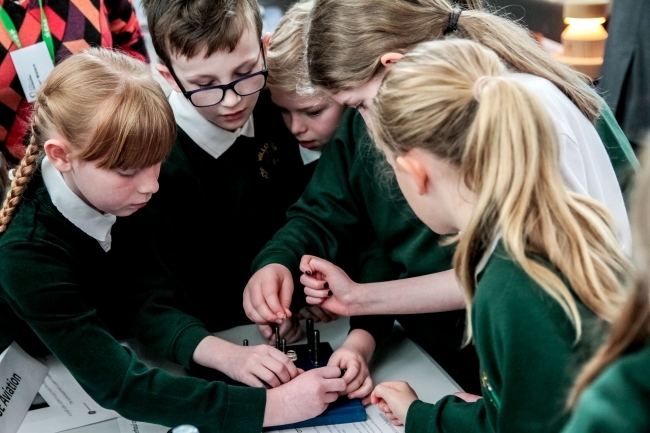 Tomorrow’s Engineers Week runs from the 5th-9th November, and aims to inspire young people and parents with examples of engineers on a mission to make a positive difference to society. Engineers featured include a dynamic dozen all working on exciting projects that make a positive difference to the world. Stars include Jack Hooper from Doppel, who has engineered a device to improve mental health and two engineers from Robertson’s Engineering, who have saved the lives of otters with an innovative road crossing. The Tomorrow’s Engineers Week Big Assembly takes place on Wednesday 7th November and over 350 schools have already signed up to the Big Assembly with 40,000-plus students expected to take part. Nusrat Ghani, Minister for the Year of Engineering, said: “Engineering plays a leading role in tackling some of our biggest challenges, from developing sustainable energy to harnessing the power of AI to fight disease. Broadcaster Fayon Dixon, who will host the Tomorrow’s Engineers Week Big Assembly, added: “I’ve seen first hand how engineers can make a huge difference in the world and it’s encouraging to know that parents think likewise. Every year I host events for young people at The Big Bang Fair and see them inspired by engineers who are helping to save the environment, develop medical procedures, keep us safe, help animals and even entertain us! The engineers on a mission will be the stars of films and a unique Tomorrow’s Engineers Week Big Assembly which offers schools across the UK the chance to take part in the same assembly on engineering careers at the same time. Tomorrow’s Engineers is the November campaign focus for Year of Engineering, a year-long government campaign, which celebrates the world and wonder of engineering.